Before the presidential election of 2016 — during brief breaks in the regularly schedule Trump propaganda — the headlines were full of stories about hot button topics, such as: police brutality, racism, Black Lives Matter, building the wall and race riots in Charlotte, Baltimore, Ferguson, Dallas, Charleston, Chicago, etc. Isn’t it interesting how this entire genre of journalism has been BURIED? It seems like the topic of social justice, which made the front page only a few weeks ago, disappeared almost the minute the election was over. It’s as if someone declared “mission accomplished” and everybody went home. For example, I didn’t hear a peep in the national news about this recent act of terrorism in New York City. Did race relations instantly get better? Did 20+ million illegal immigrants self-deport? Have women started to earn equal pay? 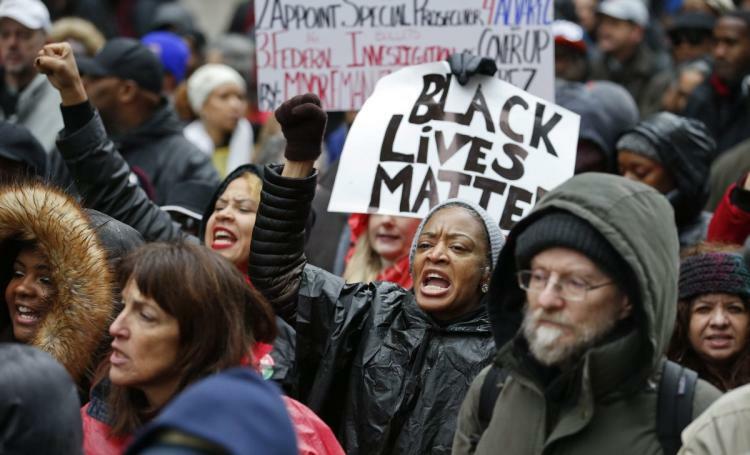 Did police brutality come to an abrupt end? Has the murder rate on the SOUTH and WEST sides of Chicago declined? Are brothas in Baltimore and Brooklyn somehow better off now? Do black lives all of a sudden matter? Are the concerns of women and minorities no longer relevant in a post-Obama, alt-right world? Were these issues simply being used to trigger predictable subconscious responses in our psyche (divided, we fall for the most adverse chicanery)? Now that the desired effect (election result) has been achieved, is the mission to make “undesirable” people go away (like their annoying news stories)? Has that mission been accomplished? Problems don’t go away by ignoring them. Now is not the time to get complacent, while entire lifetimes of social justice progress are quietly erased. We must continue to beat the drum, sound the alarm, get up and STAND UP! Let’s treat these issues like the mental illnesses they are.